To End Violence Against Women? Provides survivors of gender-based oppression and their allies an opportunity through the healing arts to speak their truth, heal and personally connect their voices and wisdom to a global conversation of compassion, empowerment and gender equality. We use the power of art to transform and heal trauma. 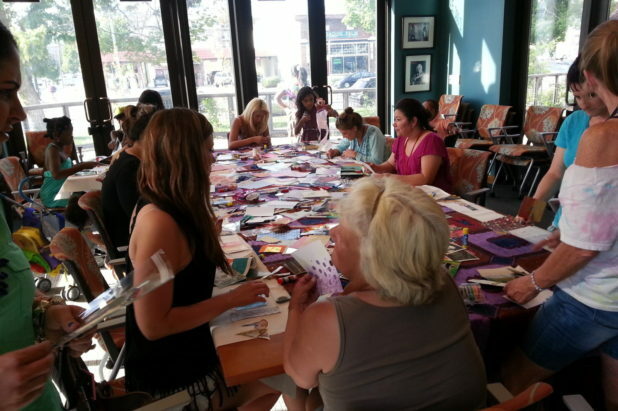 Thousands of unique, handmade art postcards containing words of compassion and solidarity are created & hand delivered around the world through this therapeutic arts workshop, bringing awareness and voice to women and girls whose lives have suffered from isolation, violence or repression. 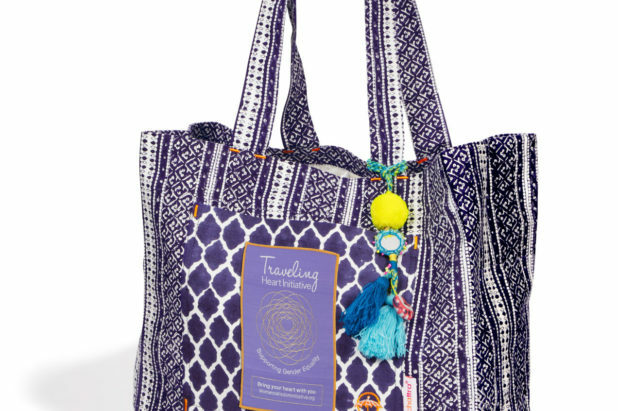 The Traveling Heart Initiative provides unique hospital bags for survivors of sexual assault and is a symbol of solidarity carried around the world. Hospital bags provide necessary clothing and information to survivors and each bag contains a handmade message of hope through a Traveling Postcard that is placed in every bag. There are over 2500 shelters for survivors of domestic violence in the United States. They are critical to protect the lives and identity of women and children who are escaping abuse. 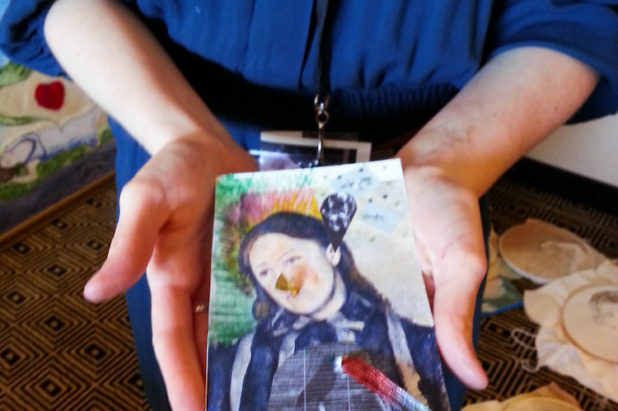 The Shelter to Shelter tours travel to shelters and safe houses across the United States bringing the Traveling Postcards workshop to more rural and isolated communities. The Women's Wisdom Initiative programs are for any woman -cisgender, transgender, and those who hold fluid identities- that are subject to gender based violence. We are also aware that many men are victims of violence and we welcome their voices. Make a gift and give a woman a voice!